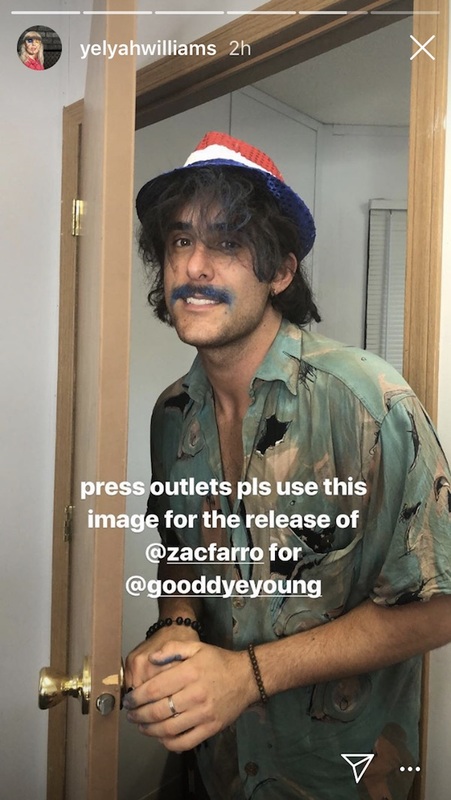 First look: Zac Farro x Good Dye Young. 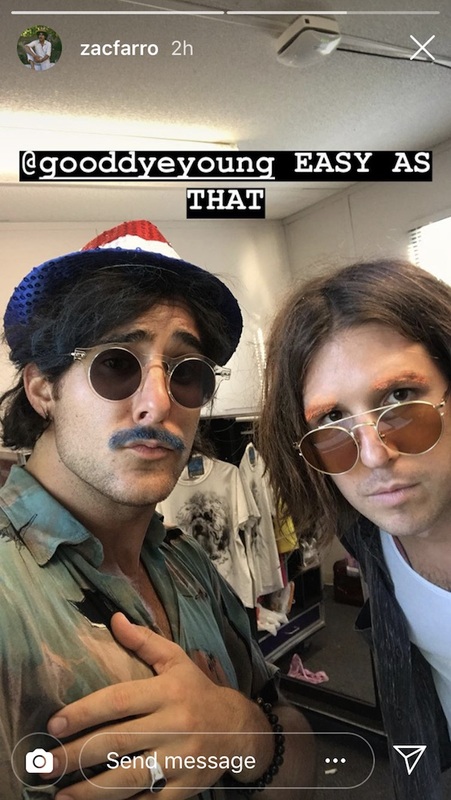 Zac Farro, Paramore drummer and HalfNoise mastermind, is the latest influencer to model a vibrantly coloured 'look' for Hayley Williams' hair colour brand Good Dye Young, showing off some Blue Ruin poser paste in his moustache this week. If you're not already familiar, Good Dye Young's poser paste is entirely vegan and cruelty-free, washes out easily, won’t stain bleached or blonde hair, and contains a conditioning formula with sunflower extract! Click here to shop Zac's look. Or here to browse the entire Good Dye Young range. Read our latest interview with Zac here. MusicParamore - 'Rose-Colored Boy' music video. MusicParamore announce Fall 2017 North American tour. MusicParamore - 'Now' video trailer. MusicHayley Williams launches her own hair dye brand. 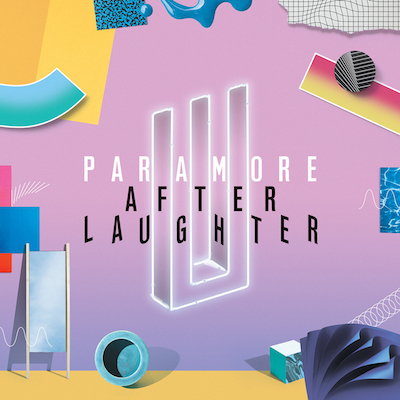 MusicParamore - 'Ain’t It Fun' live on American Idol. MusicParamore - 'Now' music video. MusicWatch: Paramore perform 'Grudges' live for the first time.